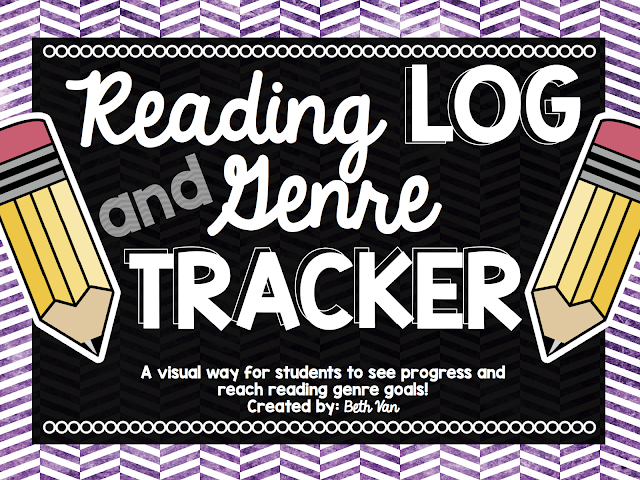 Let's talk reading logs, shall we? 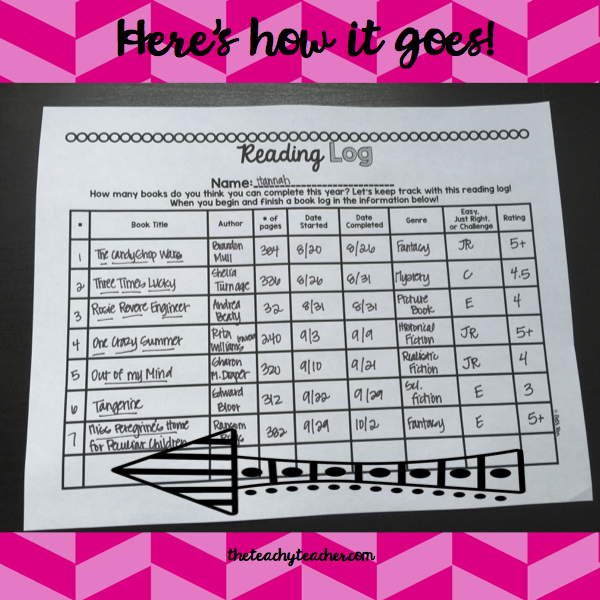 In an effort to stay organized this is my tried and true method to keep up with reading logs. You will love it. And I swear by it. So you're going to love it even more. I hope. Thanks for reading by the way. Whether you are a co-worker, friend, pinterest pal, or instagram instafriend, or blog stalker. Thanks for reading! Every summer I re-read The Book Whisperer by Donalyn Miller. I really like her ideas about reading and how to get my students excited about reading and that they can read anything they want with just a few goals attached to their reading to keep them accountable. I love her idea of genre goals and getting kiddos to branch out. I LOVE series of books...don't get me wrong. But after 10 "Series of Unfortunate Events" books I think it's time to move ON! I said it! Move on child! There are bigger and better and happier reads out there. There are more genres and you won't know if you like it until you try it! The trend in children's lit for the last 10 years or so are series (Hunger Games, Maze Runner, Origami Yoda, Fablehaven, Insurgent, 39 Clues) but the tides are changing and I'm a tad bit excited. Most publishers are wanting one book stories. I love series' (how does this grammar work...I struggle) for the fact that one can change a child from a reading hater to bibliophile in a page turn...BUT sometimes the series becomes a crutch...and I love the genre goal to help my kiddos out! It throws in some self-competition and goals that they set themselves and achieve. Hence the reading log--it's one of my organizational tools that helps me assess how my students are moving along. I can see trends and when it's time to have that DTR (determine the relationship) with a series so my students can move on, breakup, and branch out. They're only 11 so they need assistance with this. Along with that, I like them to visually graph their progress on a Reading Genre Tracker. I L.O.V.E. this to see what genres students love. It helps me to recommend things in that genre as well as other books in different genres so they can try something new. You should see my readers! We read all the time! I love those moments when students find something they love or discover something new. Don't you? It's a goosebump moment that we teachers live for! So try it! 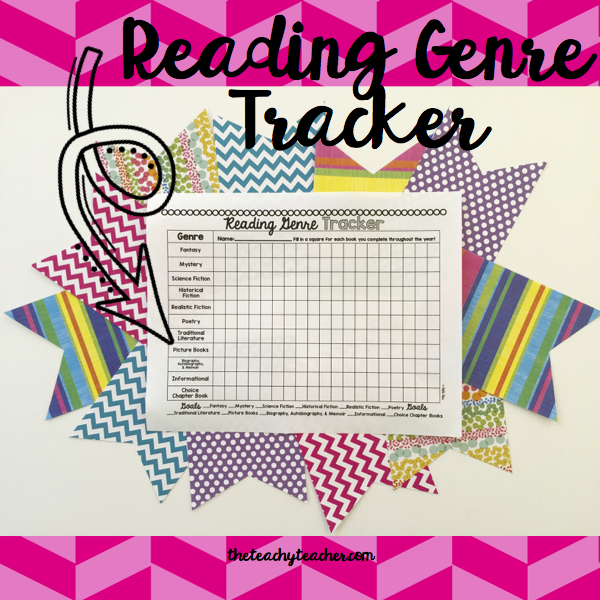 Try the genre goals and try the visual tracker. 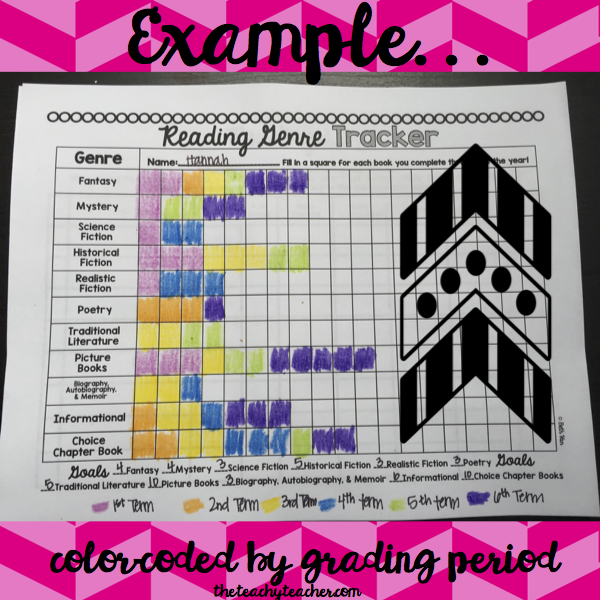 I have my kiddos use colors for each term or grading period (whatever you call it) so I can see how they are progressing with their goals. YOU ARE AWESOME. So grab a free download of this in my teacherspayteachers shop, leave me some lovely feedback, and follow me on instagram! And GOOD LUCK. School is right around the corner!